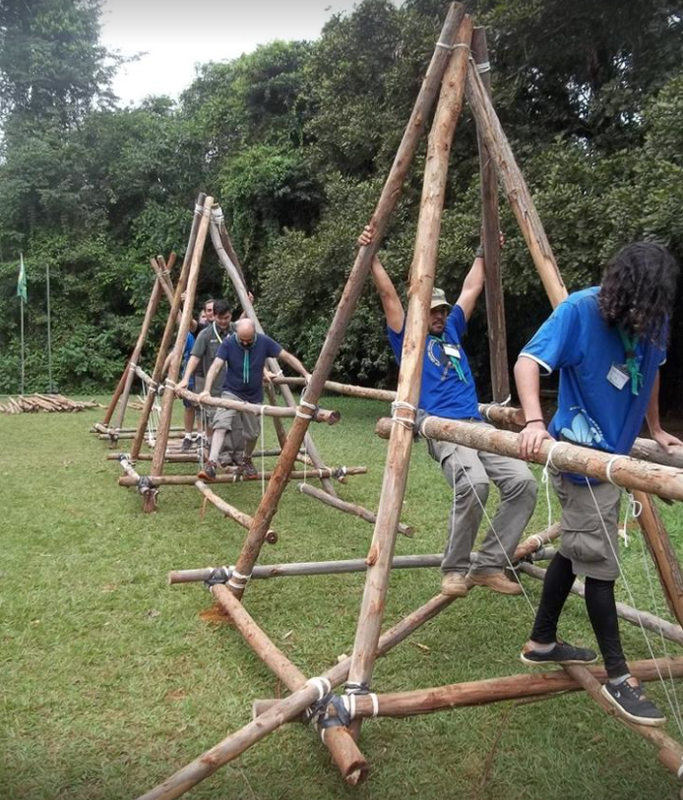 Pioneering projects can be built to serve a practical purpose, as in a bridge connecting two banks of a stream providing a shortcut to the dining hall, or simply for recreation as in a swing boat at a Scout Expo. The most desirable project constructed just for fun is the one that can get a lot of use. The more action it sees, the the more it can be considered a success. 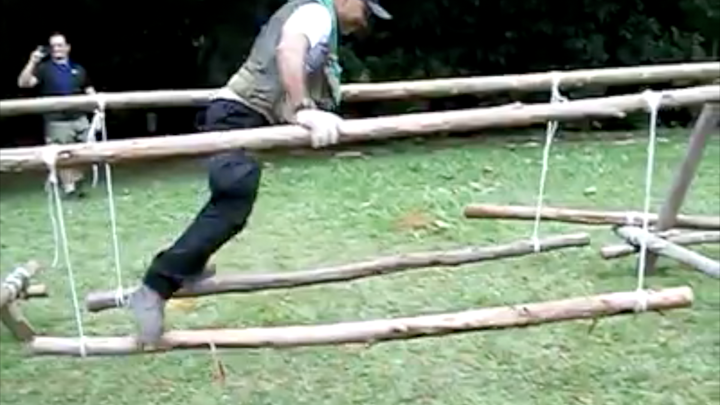 The Brazilian Balance Track, so dubbed because it came to our attention in a FaceBook post from the 88º GE / RJ Scout Group Atol das Rocas of Brazil as part of a training given by Chief Jorge Kuma Stotuka, is simply irresistible! Most everyone passing by is going to want to give it a go! 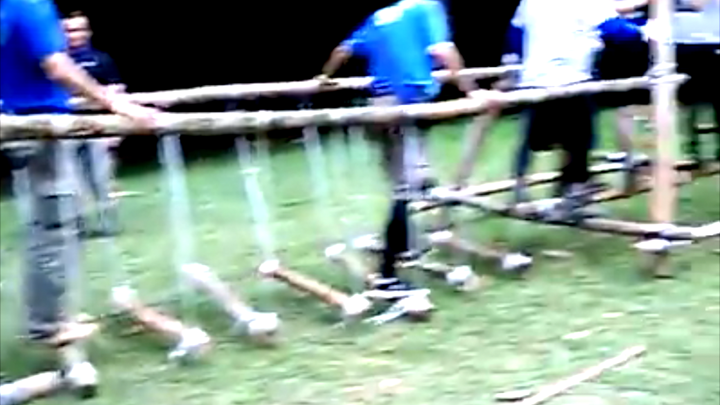 For that matter, as revealed in the video, a group of Scouts will literally line up with individual Scouts waiting their turn to get on and see how easy or hard it is to make it from one end to the other. 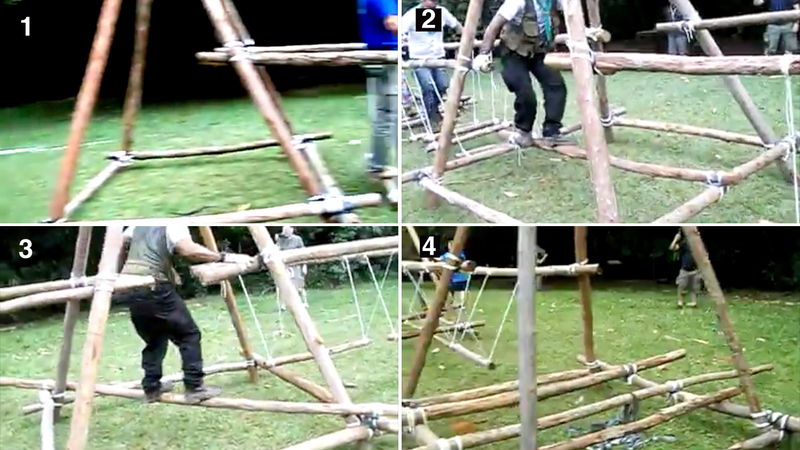 Basically, the track consists of four quadpods connected by three ingenious, little challenges. 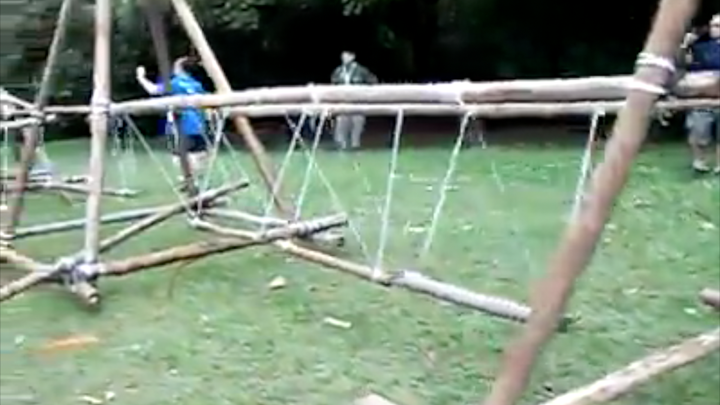 Three of the quadpods also provide their own less daunting challenge. 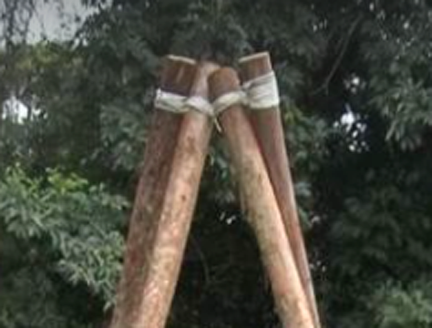 Variations in construction will be determined by the length of the spars connecting the quadpods, in other words, the degree each challenge is more or less demanding hinges on the distance between the quadpods and subsequently the amount of stepping, swinging, and negotiating required to traverse each section. Will like to know how to purchase the English version. Please let us know when the English version is available. Eu ficaria feliz em ver a versão portguese ! !